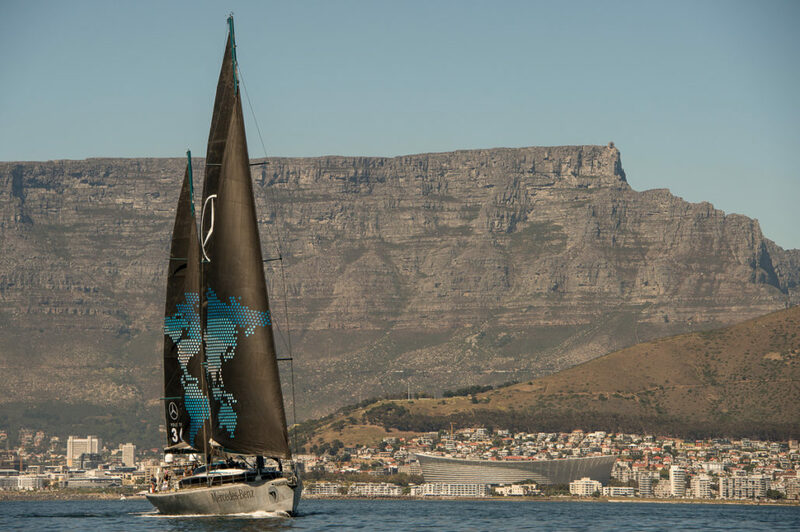 Setting sail for Robben Island! We looked back at the table and bade it goodbye. As we headed for Robben Island where Mandela stayed. With the seven gill sharks we made a date. To track every place their tails would wag. With a push and a shove we said later bro. Because date number two was already there. 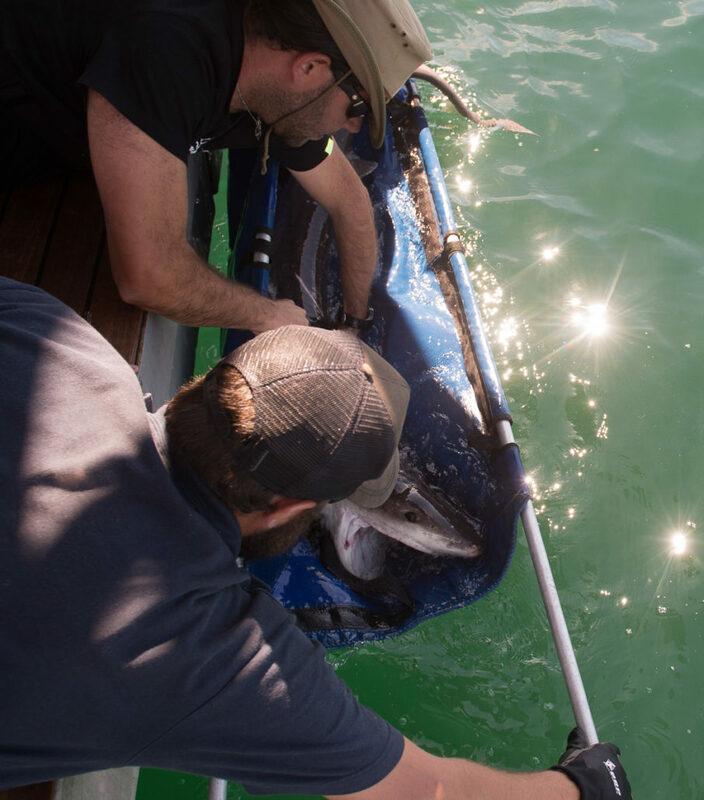 We had lots of sharks being tagged on their way. Was seeing dolphins and whales in the boat’s wake. Content and happy with expectations exceeded. Arriving at the anchoring spot next to Robben Island. 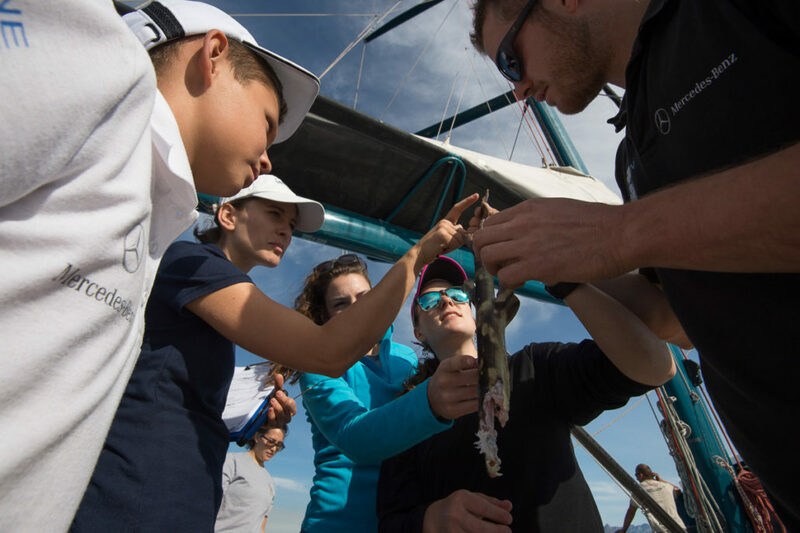 Putting bait on the line to attract broadnose seven gill sharks. Our first catch! A male broadnose sevengill shark that is 1.9 metres in length. 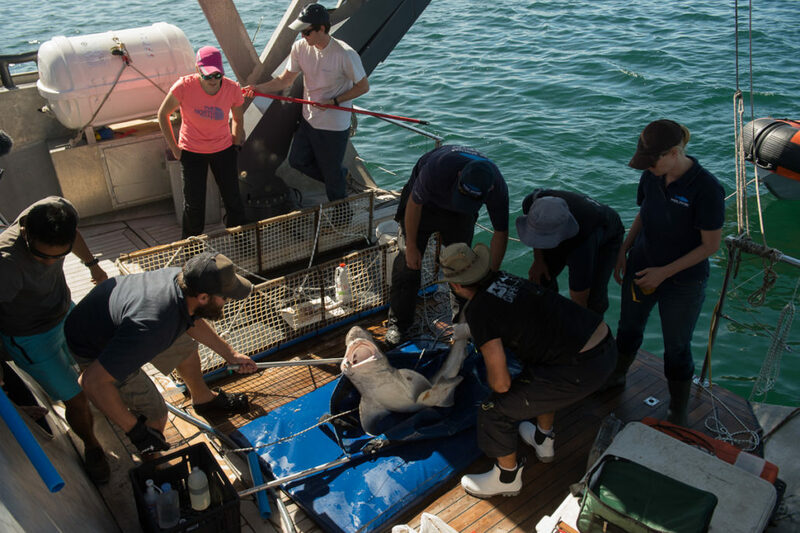 The shark is brought on board in order to complete the tagging procedure. 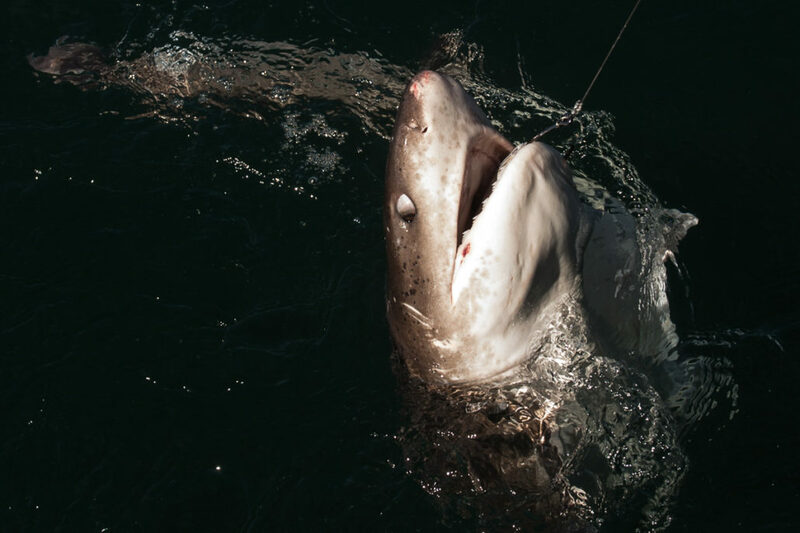 In order to keep the shark in good shape we keep water running through its mouth and over the gills so that the shark can continue breathing. This species of shark has seven gills, whereas most species only have five gills. 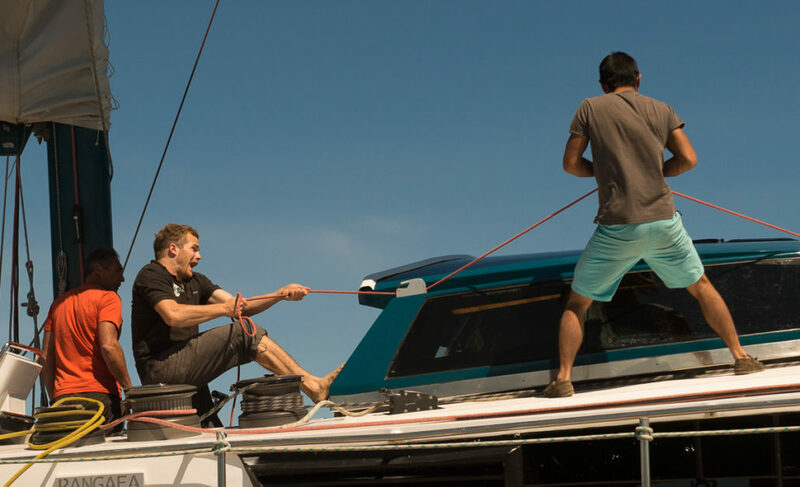 The shark is held down to prevent it from thrashing and causing injuries. We then measure its length and girth. 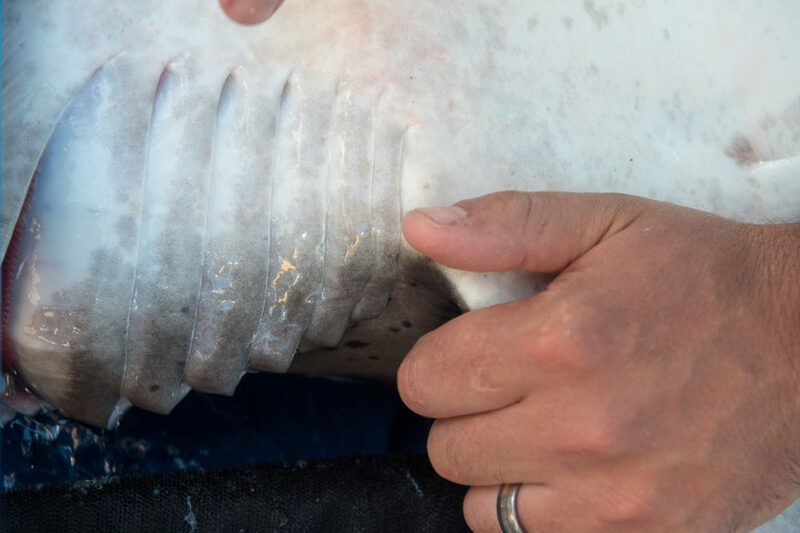 A small incision is made in the shark’s abdomen. 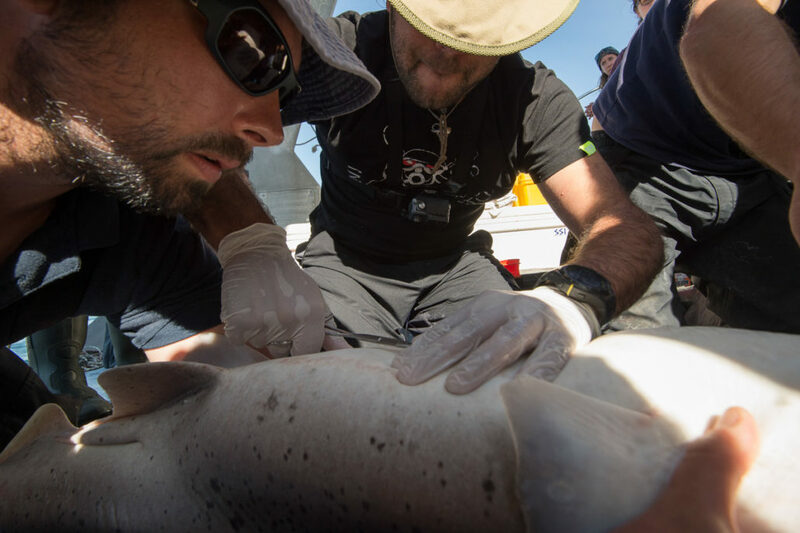 An audio tag is placed under the skin in order to track the shark’s movements. These tags communicate with receivers that are on the ocean floor. 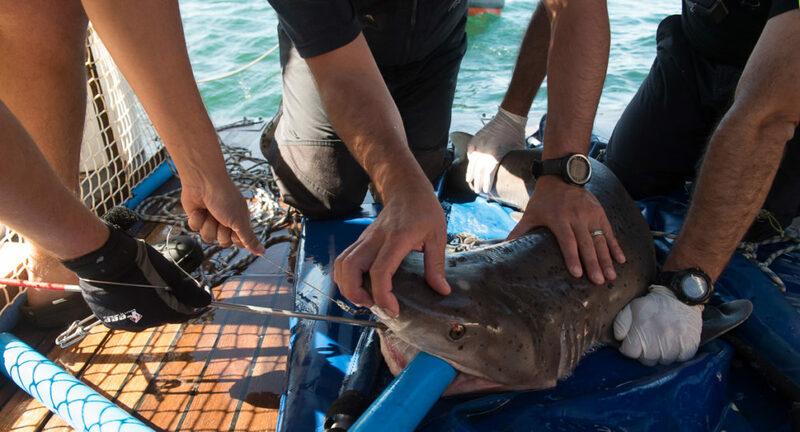 The receivers are retrieved and the data gets downloaded and used to analyse behavioural patterns. 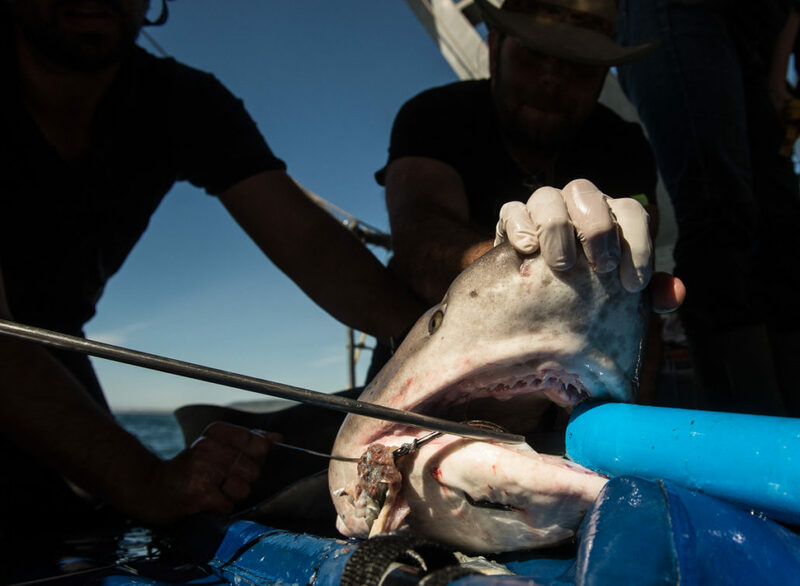 The last step is to gently remove the hook from the shark’s mouth. The shark is lowered back into the water in a hammock. It is important to ensure that the shark is in a good enough shape to swim away by itself. The tagging process is then completed. 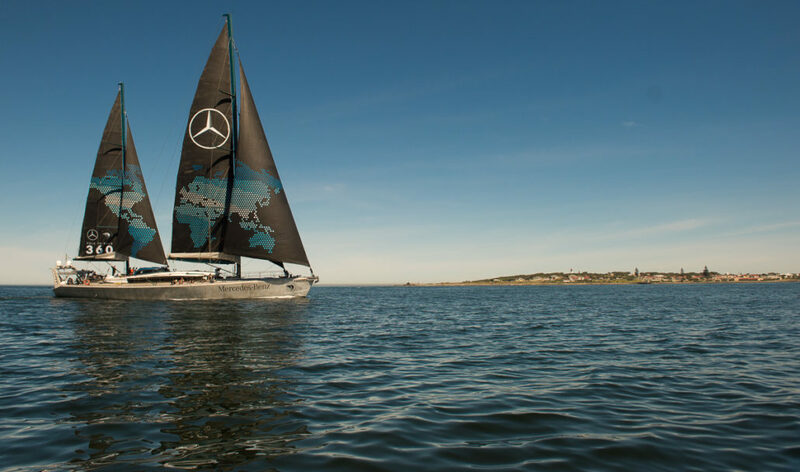 What a beautiful place to be anchored for the night!